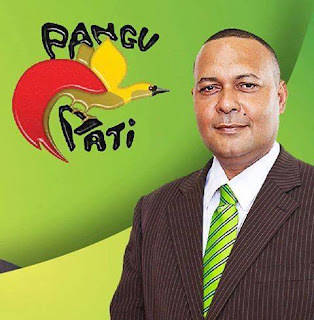 The continuous infighting between the Parliamentary Wing and the Executives of the PANGU Pati, has resulted in a mass resignation of its MP's from the party, NBC News reports. PANGU had been in turmoil over its leadership and direction even before the 2017 national election. A party insider told NBC News that all the Parliamentary Wing Members have resigned last Thursday, and will be formally making an announcement soon. NBC News was reliably told the Parliamentary Wing has decided to take this action, because Party Executives do not want Communications and Energy Minister Sam Basil as the party leader. Both factions were ordered by the court to convene two meetings, one for the Parliamentary Wing to elect a party leader and deputy, and the other meeting is to be a national convention to appoint party executives. However, while the former meeting happened, the latter failed to eventuate. NBC News was also reliably informed that most members of PANGU will be teaming up with another political party.